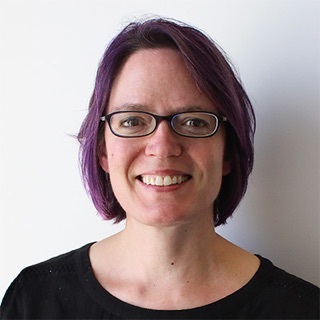 Leah has been asking questions for 18 years as a design researcher on product, service and digital design projects. She has informed the design for financial tools, electric cars, travel websites and mobile apps, consumer package goods, digital healthcare tools, education platforms, government services and e-commerce sites. She’s been privileged to help solve a huge range of business problems within agencies, start-ups, large companies, and now with Spring Studio in San Francisco since 2013. After leveraging every method there is, from ethnography to survey to usability, she prefers to make stuff (like maps, lists, sketches, and diagrams) with research participants in order to discover together what they think, feel and do. Participant exercises empower people to explore, describe and interpret their own behavior and thoughts. These exercises create a vital bridge between design researchers and participants—extending the value of conversation and observation. To quickly mine your participants' history, routines, worries, motivations, beliefs and needs, move beyond mere interview questions and embrace participant exercises. You can use them to enrich every research context: as part of generative and evaluative research, with individuals and with groups, as pre-work and during interviews, in person and remotely. This workshop will familiarize you with many types of participant exercises so you can incorporate them in your next round of research. Learn how to use participant exercises to get better, deeper responses and insights during research. Get acquainted with nine exercise types and understand the basics to create and use each. Immediately apply learnings to a research project in order to expand understanding. Attendees will select, draft and pilot participant exercises to support research questions that are part of their current work/job. All should have some experience with qualitative research. Ideally you have planned and conducted some form of research (usability tests, concepts tests, exploratory interviews, ethnography, etc) in the past year. This material is designed to be an "add-on" to primary research planning and execution skills.